When you can't get enough of sea life in the waters around Maui, then head for the Maui Ocean Center in the town of Wailuku. 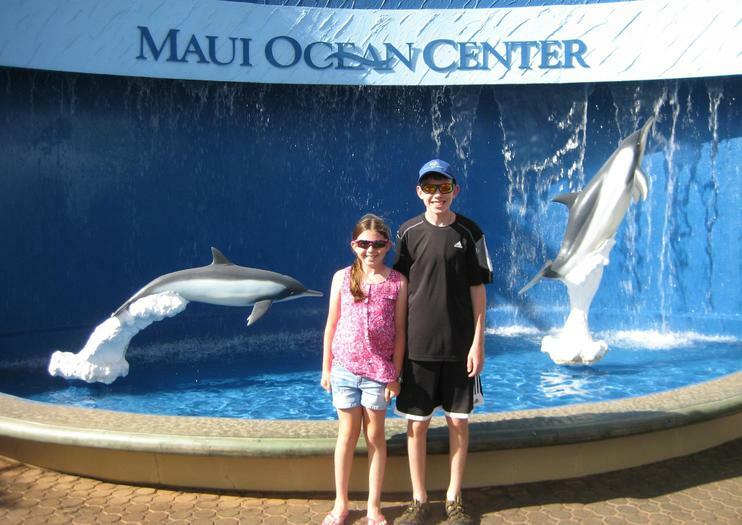 Opened in 1998, Maui Ocean Center is an aquarium featuring only sea life that lives around the Hawaiian islands. It's the largest tropical aquarium in the western hemisphere, and features an enormous Open Ocean tank. There's an acrylic tunnel through the tank, giving visitors the feeling of truly being underwater. Among the diverse array of sea life in the 60 exhibits at the aquarium, you'll see octopuses, stingrays, turtles, sea horses, moray eels, jellies, and sharks, and you'll learn about dolphins, whales, and monk seals – not to mention thousands of fish. Maui Ocean Center also has the largest collection of live corals in the country. Maui Ocean Center is open daily from 9am-5pm, with extended hours July-August when it's open until 6pm. Tickets are just under $30 for adults, $23 for seniors, and $19 for children ages 3-12. You can also get passes good for one week. Certified divers may book a dive into the huge Open Ocean tank in order to go swimming with sharks and stingrays. Dives last about two hours, reservations are required, and the cost is $199 per diver.